Several growers in the Santa Maria area reported maggot infestation in their young strawberry fields. I have visited some fields and collected some specimens. 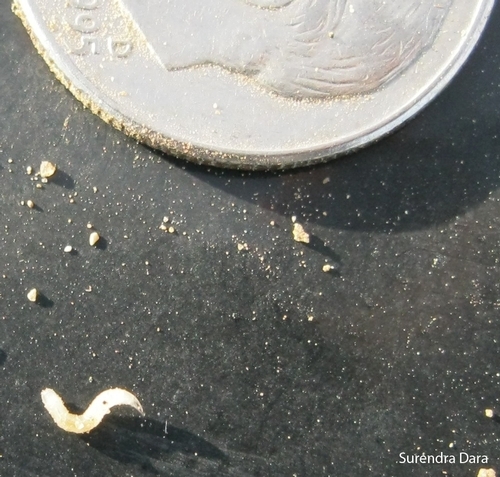 These maggots are whitish with a tapering body and approximately ¼ inch long. They are legless and seemed to have a thick and opaque skin. These look like seedcorn maggots [Delia platura (Family: Anthomyiidae)], but accurate identification is pending. UC researchers, CDFA and Ag Commissioner's office has the specimens and we are working on identifying the pest. Maggots were found feeding in the root area at the base of the crown. 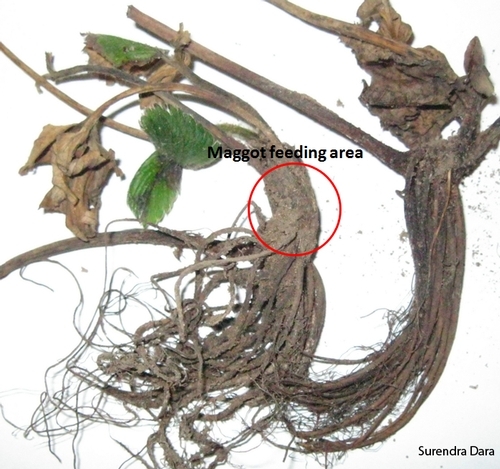 Seedcorn maggot adults are usually attracted to decaying crop residue and moist soil. It is a good idea to set up yellow sticky traps in the fields for catching adults to help with the identification. It appeared that some growers have treated the fields with imidacloprid, diazinon and chlorpyrifos. Someone at the field mentioned that these are thought to be fungus gnats. But these are not. 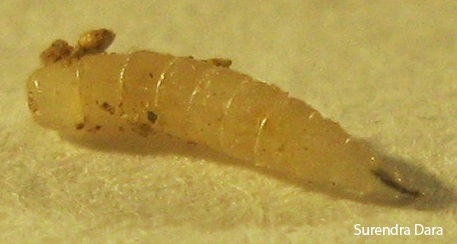 Fungus gnat larvae have a whitish to translucent and elongated body. They have wormlike appearance and have a conspicuous shiny black head capsule.